Large straight-hand spectroscope (length 15 cm) made of ZAPON lacquered and blackened brass with an adjustable gap and 5 prisms; the arm is mounted on a side-mounted milled wheel and a lever connected to it. In its blue plush-lined leather covered case. 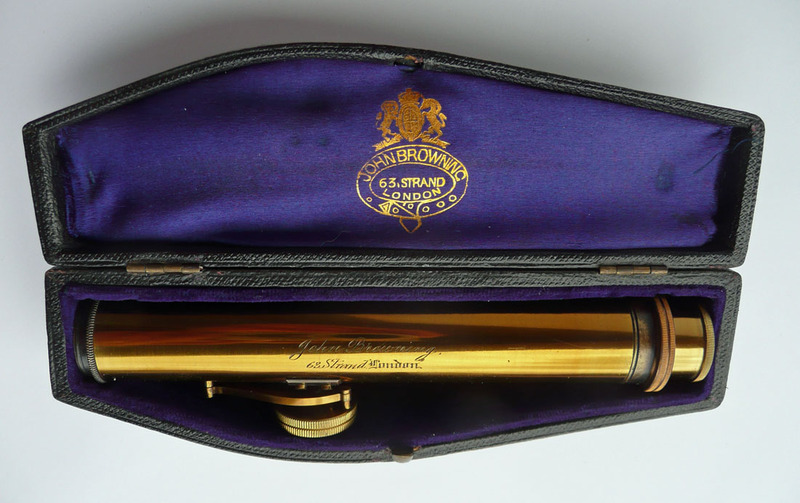 Signed “JOHN BROWNING | 63, STRAND LONDON”, and "GRACE'S SPECTROSCOPE” at the other side. Originally designed for meteorological use.